I have been using Micro Four Thirds for the past six months ever since I acquired the Olympus OM-D E-M10 Mark II. 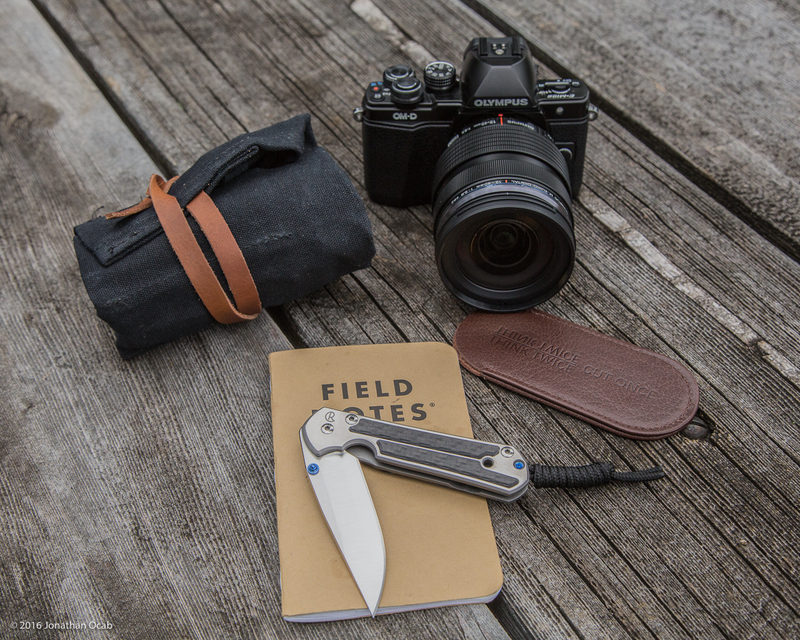 I love the MFT platform in terms of portability and have emphasized reaching for the MFT camera vs my Canon EOS 5D Mark III for most of my stock photography (particularly for anything in the field and not “in the studio”). But as much as I love Micro Four Thirds, the E-M10 Mark II has given me some headaches, and has actually taken two trips to the Olympus service center in Connecticut. The first trip was in December 2015 because the back panel controls were jammed and wouldn’t register any button presses. I also had Olympus address the camera mount recall issue which affected the first run of the E-M10 Mark II bodies. The camera was functioning well for a few months until March 2016 when the shutter curtain suddenly jammed shut in the field when I was taking photos. Pressing the shutter button would result in the exposure starting, but then the shutter curtain would remain closed. Power cycling the camera a few times would get the shutter curtain to reset. Different batteries, lenses, and memory cards had no affect, and the issue would occur most frequently when the camera was pointed down during the exposure process. Obviously, the electronic shutter had no issues. 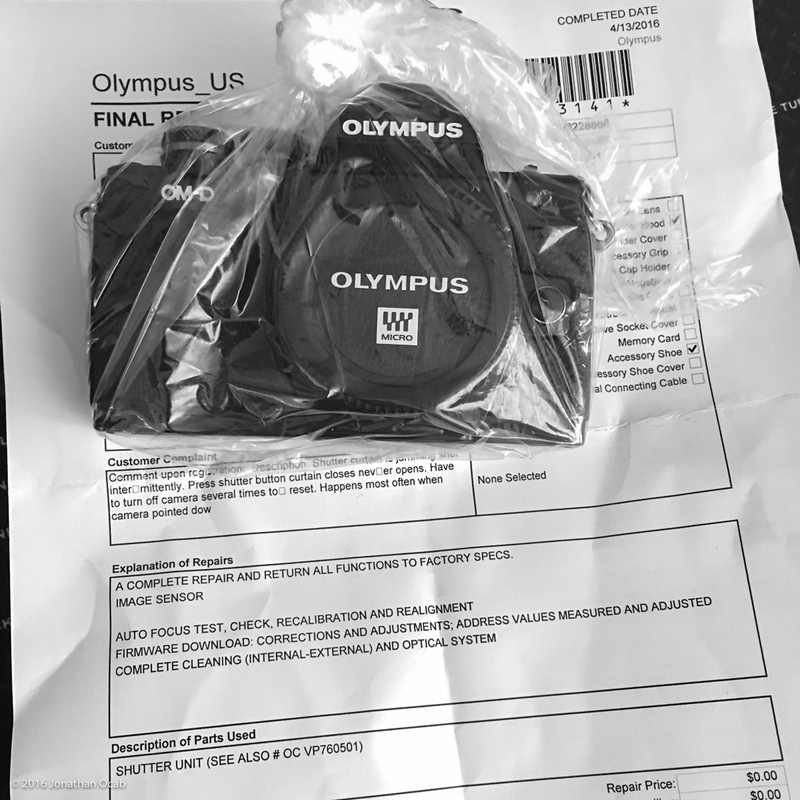 Anyway, I ended up sending it to Olympus for a second trip and just got it back this week. The shutter curtain issue has actually been experienced by other folks with different Olympus bodies, so this is not an unheard of problem. But how frequent does it happen? I have no clue. But it does concern me that I have sent in this camera for (warranty) service twice in the first six months of ownership. Reliability aside, there is also the negative aspect of the Olympus America service center being all the way on the East Coast. At least with Canon, I can just drive over to the Canon Service Center in Costa Mesa less than an hour away (Note: Canon Service Center moved from Irvine to Costa Mesa fairly recently). Turn around time is reduced since I can either elect to pick it up or just have it shipped back to me which only takes a single business day. 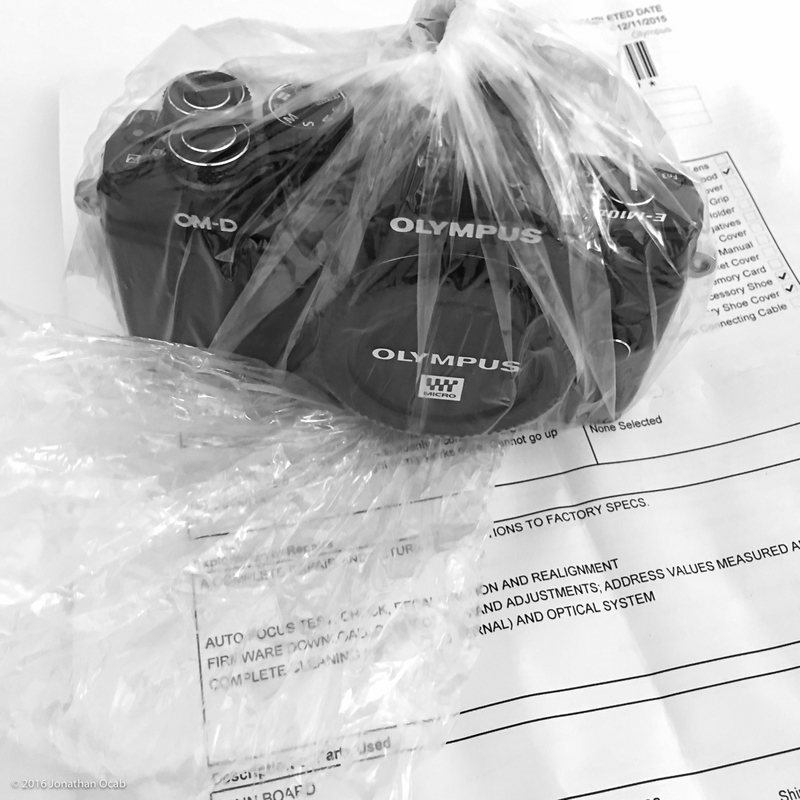 Anyway, we’ll see how my Olympus OM-D E-M10 Mark II fares after it’s second trip for service. If it fails on me again, I am not sure what I’ll do. My options are to get another Olympus body (most likely the E-M5 Mark II) or try a Panasonic Lumix. I know a couple people running Fuji mirrorless, and while that system seems quite solid (especially with a comparatively larger APS-C center), the cost compared to MFT is higher, and I don’t want to invest into a more expensive mirrorless system until battery technology improves. At which point, I will start looking at full frame mirrorless.